It takes a very special band to stand out in a music festival line-up which includes Radiohead. 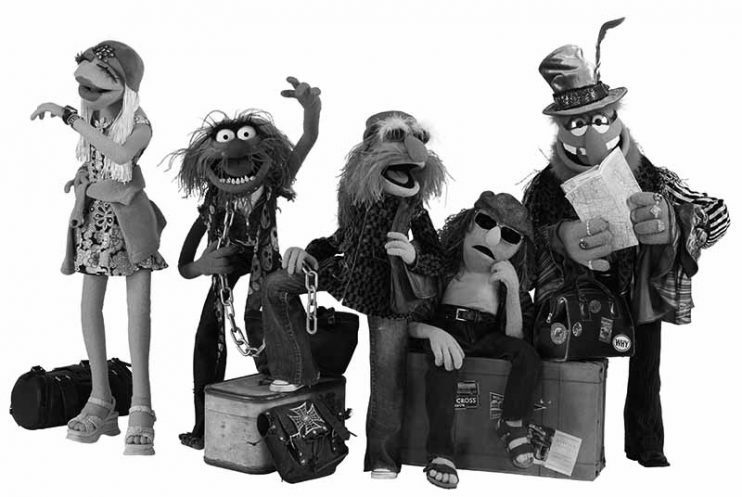 However, the first ever festival appearance by Dr Teeth & The Electric Mayhem – The Muppet Show’s resident band – generated enough excitement to warrant their inclusion on the bill at San Francisco’s Outside Lands festival. The band features muppets Dr Teeth, Animal, Janice, Floyd Pepper, Zoot and Lips. The band played covers of Mowgli’s’ San Francisco, Edward Sharpe And The Magnetic Zeros’ track Home and even closed with a rendition of The Beatles’ classic With A Little Help From My Friends with the Oakland Tabernacle Choir. Here at Jammy Toast all we want to know is has Michael Eavis booked next year’s Glastonbury Festival headliners yet? Who could ask for more… Dr Teeth and Radiohead?!?!? Just Dr. Teeth alone is pretty rad! My dad on Dr Teeth and the Electric Mayhem “It must be hot in those costumes!” – someone does not understand The Muppets ? Dr. Teeth & the Electric Mayhem have basically been my fav band since birth! had a dream last night that dr teeth and the electric mayhem were playing at the great south bay music festival and I was there… wish I never woke up! I don’t know what you mean, but I’m pretty sure I love it anyway.